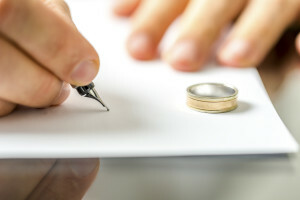 When you are filing for divorce, you might feel stressed; this is something that many people experience when this is their first time and they aren’t exactly sure how the process will work. However, filing for divorce doesn’t have to be complicated. You may still have questions depending on how long you want the process to take, or where you live. Today we will answer some of these questions for you. Is filing for divorce a slow process, or can it be quick? Perhaps you’re looking for a fast divorce process because you’re planning on getting remarried, making a big move, or some other reason that requires you to start over fresh. If you’re looking for a fast divorce but you and your spouse are unable to communicate, you might run into issues. If you want a fast divorce and are able to communicate, you might want to look into an uncontested divorce option. Before I file, must I file the petition for dissolution first? Yes, because the dissolution of marriage is the form that officially opens the case. It must be served onto your spouse in order to move forward. When I file, does my spouse have to be notified? The party must always be notified. This gives them an opportunity to respond. However, if your spouse absolutely cannot be found, the divorce might be able to move forward without them. Can I file for divorce if I’m not sure where my spouse is? The process might be different for every state. You might be able to notify through publication. Either way, you want an attorney on your side for the process. Where should we file for divorce? You want to file for divorce in the state you currently reside in. There might be residency requirements, so you will have to find this out first. Do you have questions about how you can move forward with filing for your divorce? At the Law Office of Soheila Azizi, we can help in your time of need. Call for experienced help with your divorce case today.